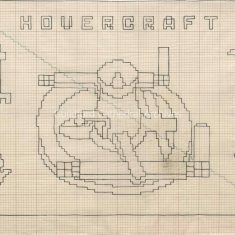 3 patterns for the Hovercraft Kneeler, two on card and one on tracing paper. 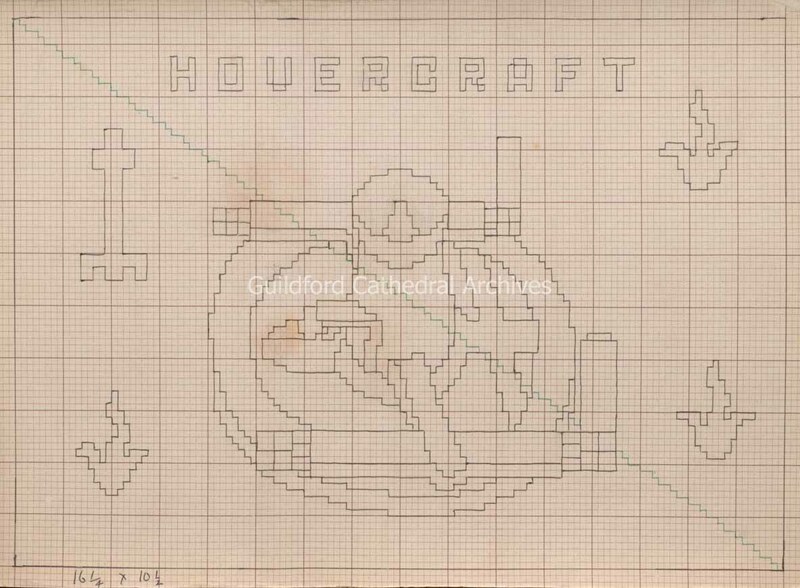 a) is a copy of a pen outline drawing which is fully coloured in watercolours, b) is a biro pen outline drawing on squared paper, c) is a pen outline drawing on squared tracing paper. 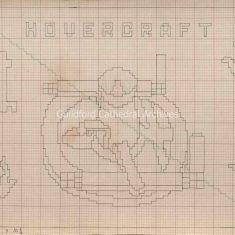 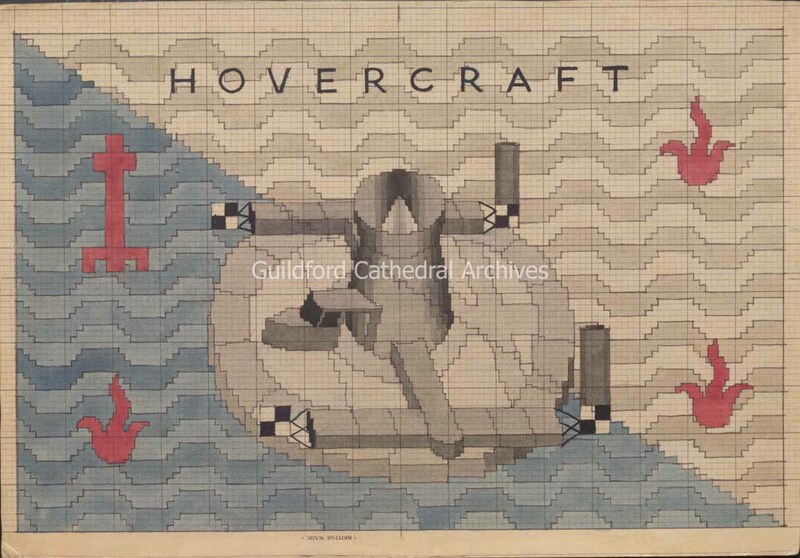 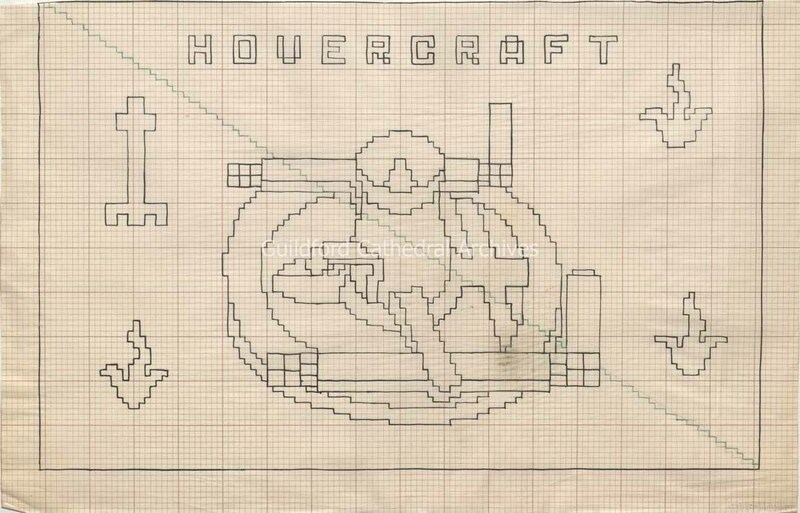 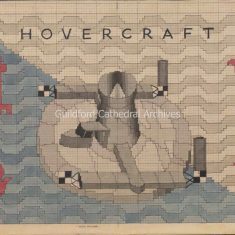 The design shows a circular hovercraft against a background of waves with flame motifs and the cathedral plan surrounding.